China is the biggest e-commerce market in the world and this market is still growing quickly. But there is a challenge: the 2 biggest company still struggle to deliver and reach shoppers in the rural areas (where commercial trucks cannot easily access). 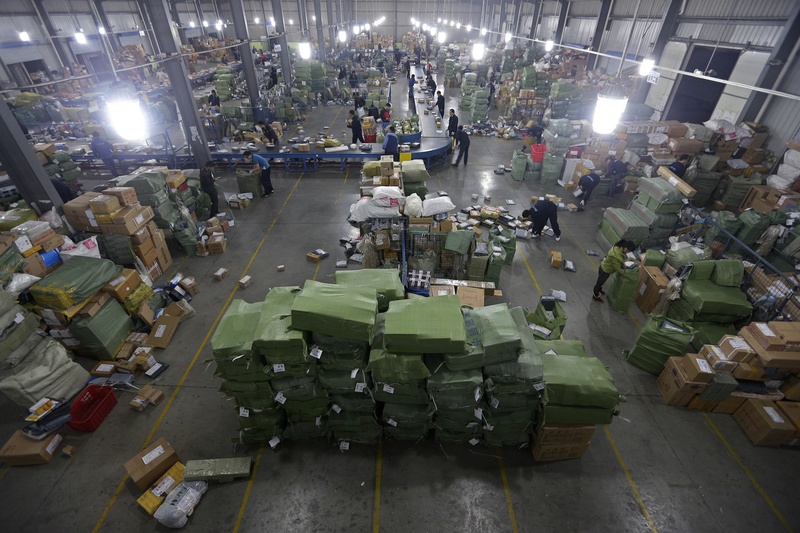 The logistics is still a key factor in Alibaba and JD success. According to a new CBN Data report, the volume of e-commerce packages increased by 40% year-over-year in 2015 with more than 16 billions parcels delivered while the speed and efficiency of delivery also increased by 14% (in average it takes 2.6 days to fulfill an order). In general, Chinese customers get free shipping on the vast majority of their e-commerce packages (87%) but it’s still unclear who is absorbing the cost of shipping (retailers or delivery companies). From a cross-border shiping perspective (for overseas goods), China improved (in 2015) their average waiting time by 30%. Alibaba and JD.com are competiting hey try various tactics to improove their delivery system by testing drone delivery systems, constructing warehouses and fulfillment centers throughout China. In total, Chinese e-commerce companies sold around $590 billion in 2015, YoY it represents an increase of 33% (Source : China’s National Bureau of Statistics). In comparison, the US e-commerce market represent a value of $341 billion and had a 14% YoY increase (Source : U.S. Department of Commerce). Consumers are less and less patient with multi-days shipping periods and more and more companies offer 1 day fulfillment. Cooper Smith, senior research analyst for BI Intelligence, Business Insider’s premium research service, has compiled a detailed report on same-day delivery. This exaustive report assess the size of this market in 2013-2018 by identifying the percentages of people who want their goods to be delivered the same day they buy it and the total volume of sales in represents. It also identifies the demographics of this type of customers and the markets (most concerned cities) where this same day delivery services has the most potential of success. This report benchmarks the same-day delivery entrants (prices, location, and selection). They also talk about the key technologies which enables companies to deliver a package in the same day and whcih could be an entry barrier. Where the same-day delivery is available, 2% of buyers have used this service. This year in 20 US cities, $100 millions of merchandise will be delivered via this fulfillment service. 1 of 4 shoppers said they would consider not completing their order if the same-day delivery is not offered by the merchant. same-day delivery shoppers are: Millennial, highly likely to be male, urban-dwelling, and young. Products concerned by this ty are alpe of delivery are fairly niche. People don’t expect to pay for this service and 92% of them are willing to wait 4 days or more to get their product delivered.